April 16, 1937: Judy pre-recorded “Yours And Mine” for Broadway Melody of 1938. Robert Taylor and Eleanor Powell (the stars of the film) also pre-recorded their versions of the song although they were later dubbed, at least Powell was. Although not listed on this Daily Music Report, Eloise Rawitzer and The St. Brendan’s Boys Choir were the “chorus” that sang with Judy. 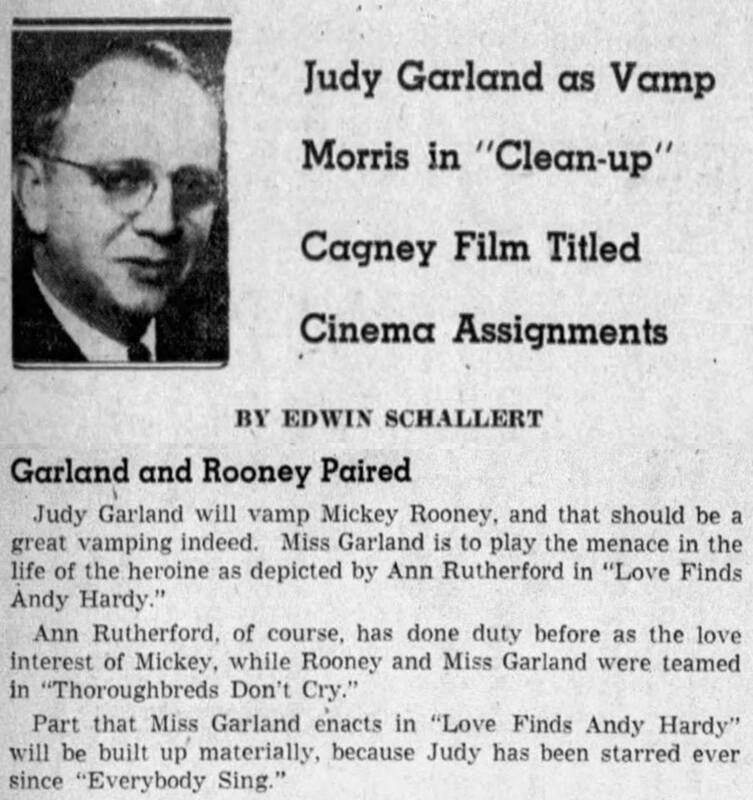 April 16, 1938: Edwin Schallert’s column noted the upcoming pairing of Judy with Mickey Rooney in Love Finds Andy Hardy. What’s interesting about this blurb is Schallert’s claim that Judy’s role will be that of a “vamp” which is definitely not what the character of Betsy Booth was about. 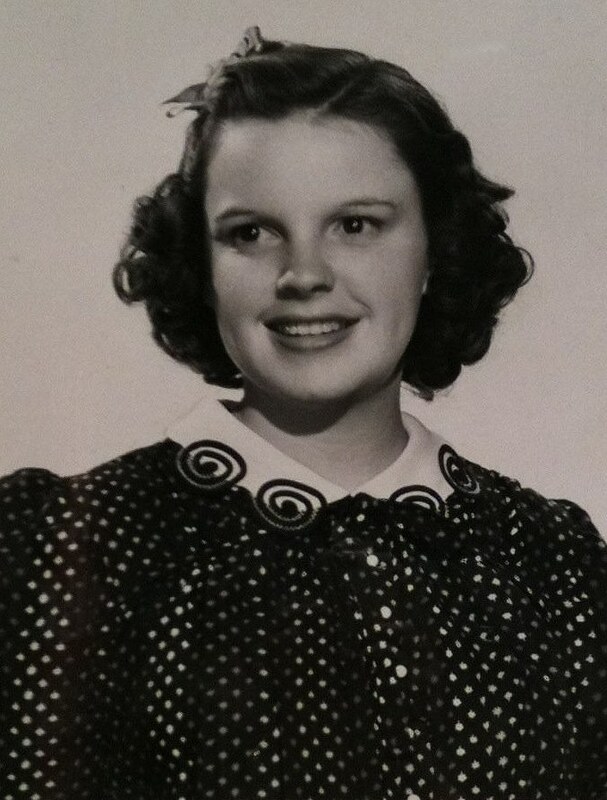 Judy began work on the film in early May 1938. Check out The Judy Room’s “Andy Hardy” Filmography Pages here. Fanny Brice and Judy Garland, a pair of actresses without the tradition glamour but with what it takes to make favorite entertainers, head the cast for “Everybody Sing,” on at the Strand Sunday, Monday and Tuesday. Judy is the swinging fan daughter in a completely mad house consisting of Father Reginald Owen, a playwright; mother Billie Burke, actress; Lynne Carter, would-be opera star; Allan Jones, chef and cafe singer; and Fanny Brice, a maid with stage hopes. 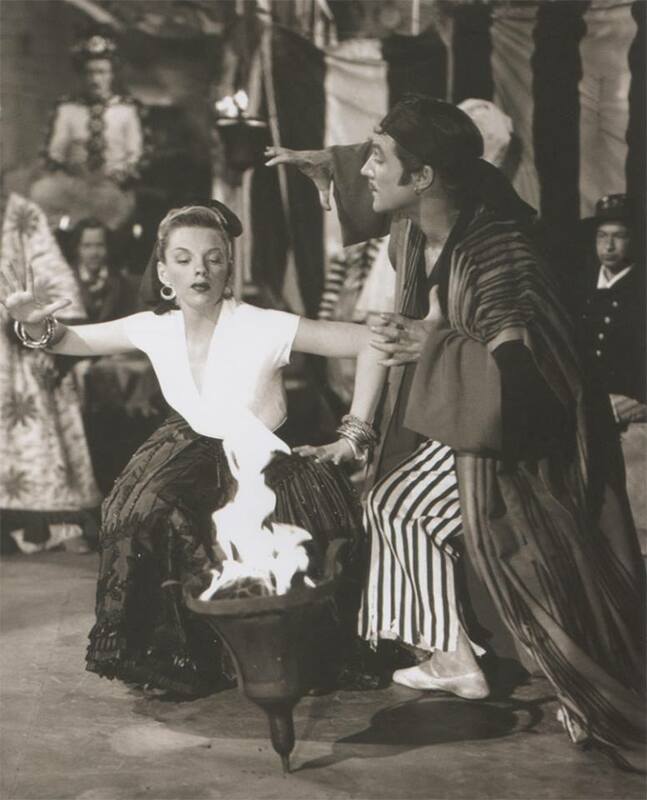 It is Judy and Allan Jones as her assistant in getting into a show, who finally makes the family fortune, gets Fanny a chance on stage and leads Miss Carver to her romance with Jones. A flock of songs are in “Everybody Sing,” plus comedy and lots of colorful personality. Also on this day, this notice about Judy training her deaf poodle via vibrations was published (as it was published on other days in other papers – these things made the rounds). The notice was sent out by MGM’s publicity department in their ongoing effort to keep Judy’s name in the public consciousness which was part of the build-up of Judy as MGM’s newest star (Judy was officially graduated from featured player to star on November 25, 1938, while filming The Wizard of Oz). 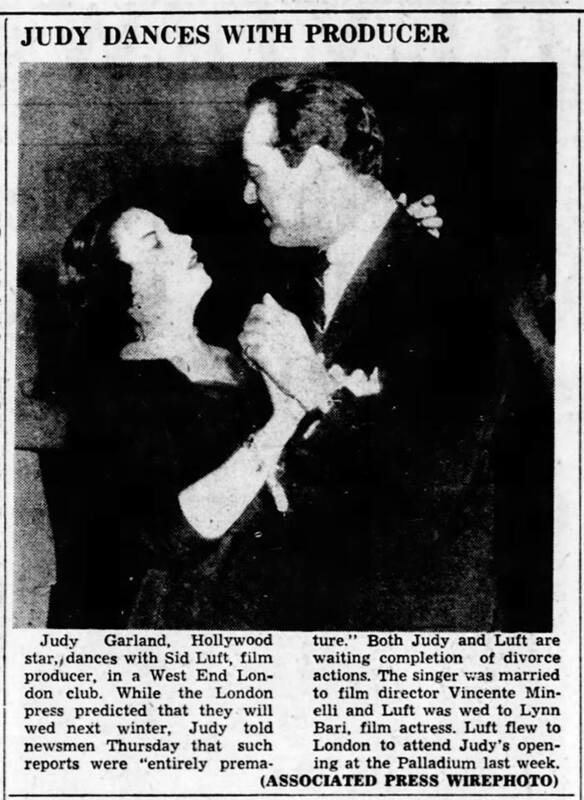 April 16, 1939: Judy was still in New York appearing at Lowe’s State Theater in Manhattan (primarily) when this fun article was published by the “Brooklyn Daily Eagle.” It tells the story of the pre-stardom Judy’s neighbors telling her she sang too loud and would lose her voice. 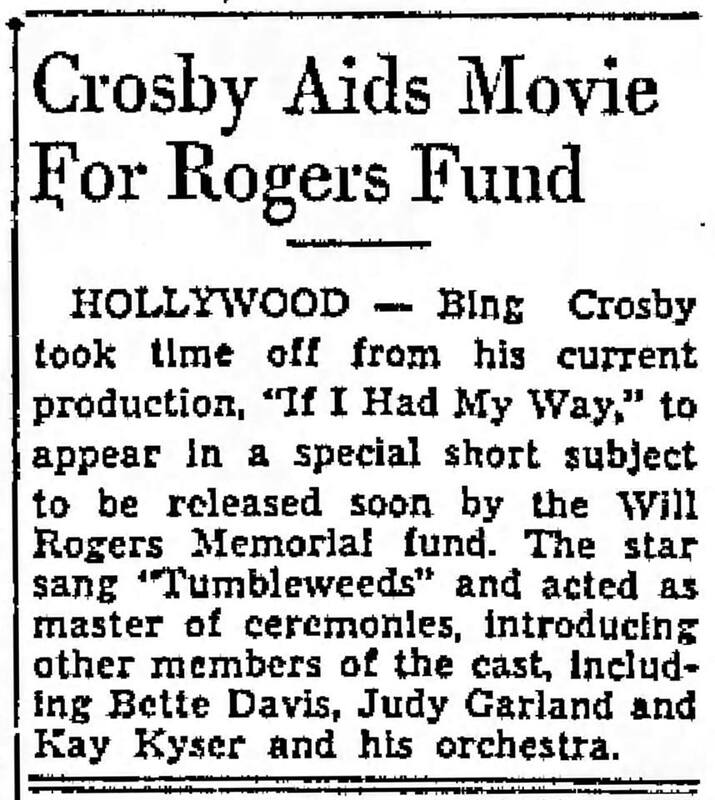 At this same time, Judy took part in a Will Rogers Memorial fund short titled “If We Forget You.” Judy sang the title song and, as usual, knocked it out of the part with her perfect, and quite lovely, rendition. 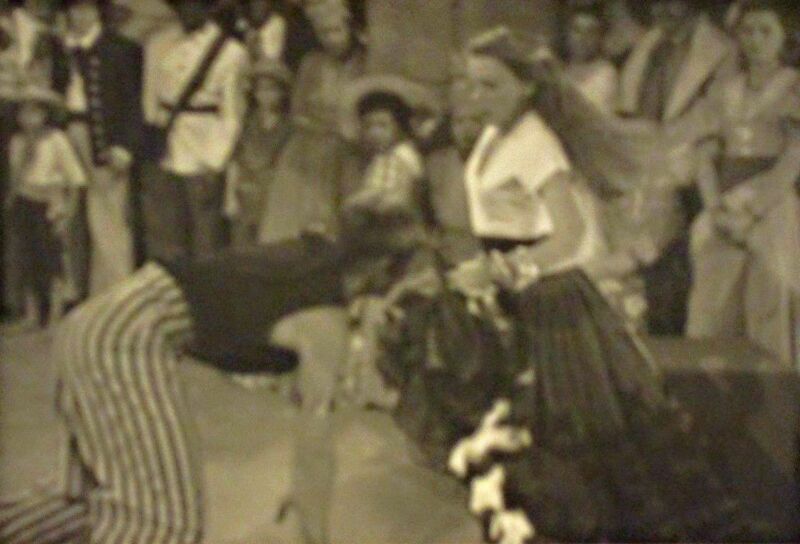 April 16, 1942: Filming continued on For Me And My Gal on the “Interior Vestibule” and “Interior Jo’s Room” sets. Time called: 10:00 a.m.; dismissed: 6:15 p.m.
Photo: 1990s VHS cover art. 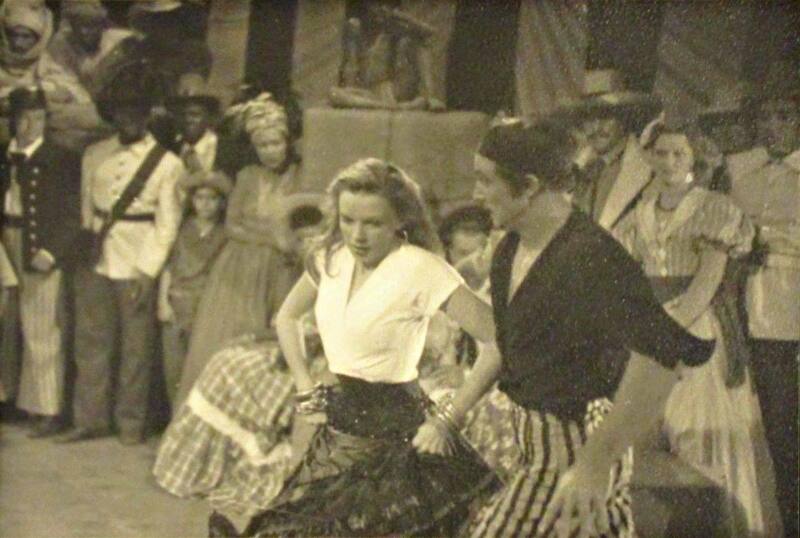 April 16, 1943: Girl Crazy filming continued, specifically the “Embraceable You” number. Time called: 10 a.m.; arrived on set at 11 a.m.; dismissed at 11:45 a.m. The time was spend on a camera rehearsal for the number. 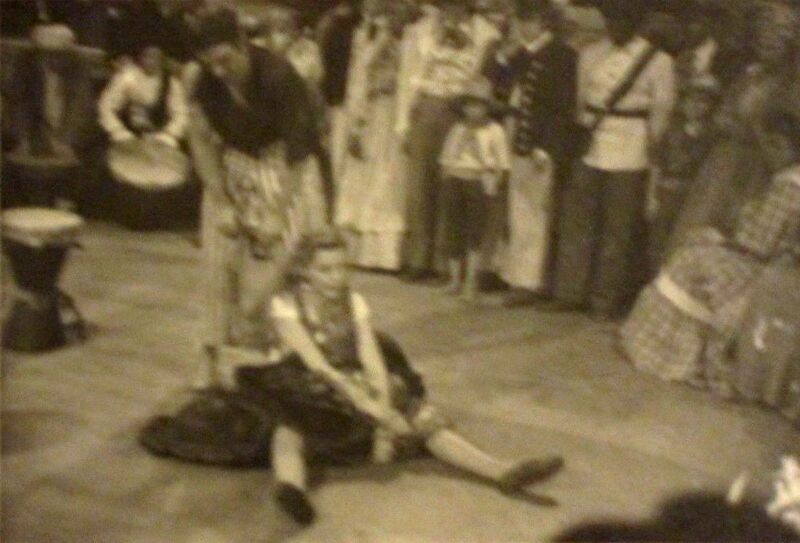 The filming of this enchanting number would continue over the next several days (Judy was out sick the 17th). 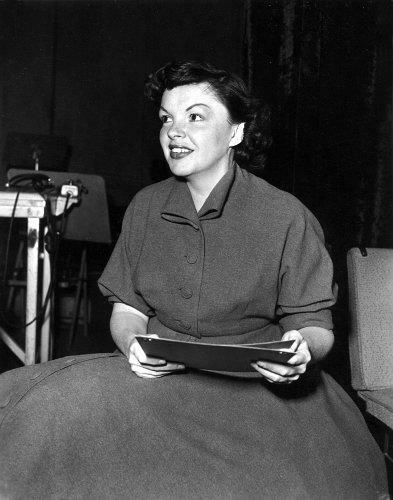 Later that evening, at 4 p.m., Judy was at a recording session (outside of MGM) for “Song Sheet.” Nothing is known about this recording aside from the fact that it was most likely a recording for distribution to the military overseas, similar to the “Command Performance” records which were recorded radio shows. There is an agreement on MGM letterhead that Judy signed, stating that MGM was not responsible for paying Judy for the recording of this performance. The video above was created by our friend Mark Milano. Thanks, Mark! Check out The Judy Room’s Filmography Page on Girl Crazy here. 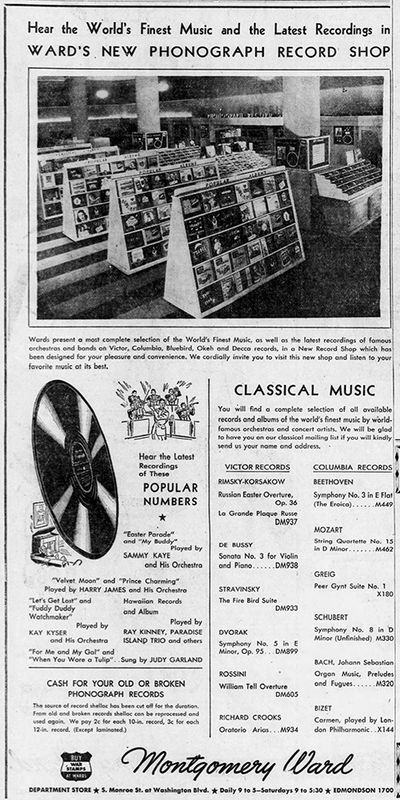 April 16, 1943: Here’s a great ad that shows the inside of the Mongomery Ward’s record department in Baltimore, Maryland. All of those albums on display are, of course, 78 rpm albums. 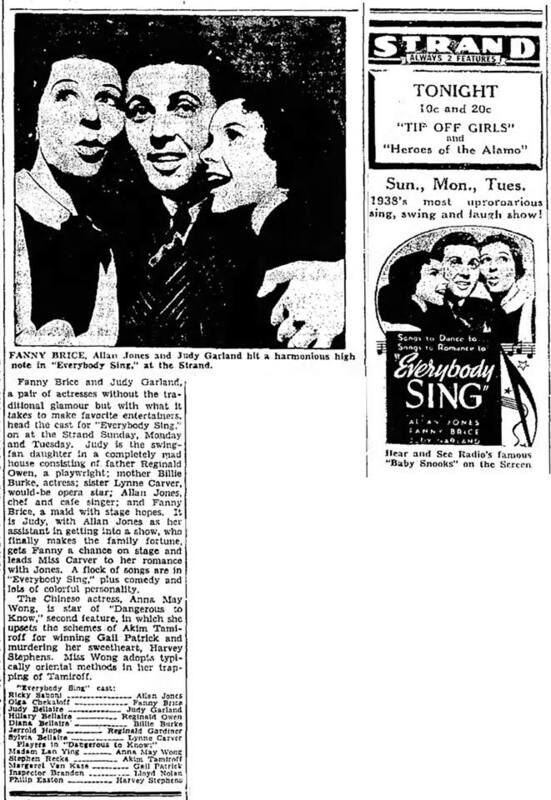 Judy and Gene Kelly’s Decca single of “For Me And My Gal” and “When You Wore A Tulip” is noted in the ad. Check out The Judy Garland Online Discography’s Decca Records Section for details about all of Judy’s Decca recordings, releases, and re-releases. 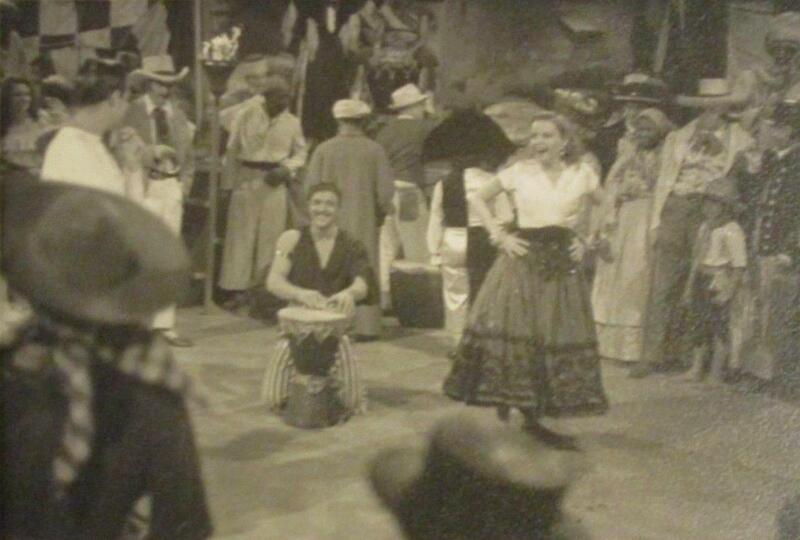 April 16, 1945: Filming on The Harvey Girls continued on the “Interior Alhambra” set. Time called: 10:00 a.m.; Judy arrived at 10:45 a.m.; dismissed: 6:00 p.m.
Photo: Late 1990s VHS cover art. 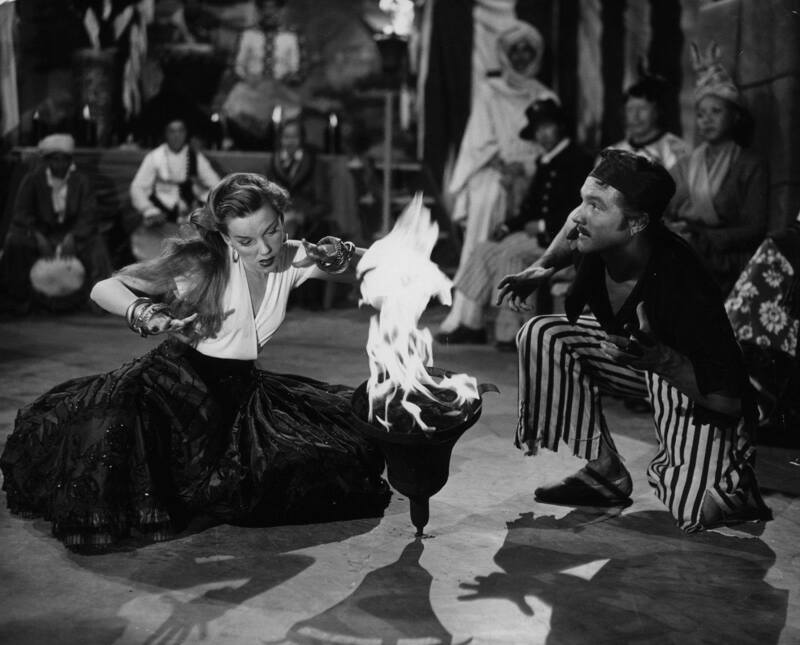 April 16, 1947: The Pirate filming continued on the “Interior Show Tent” set, specifically the famous (and ultimately deleted) “Voodoo” number. 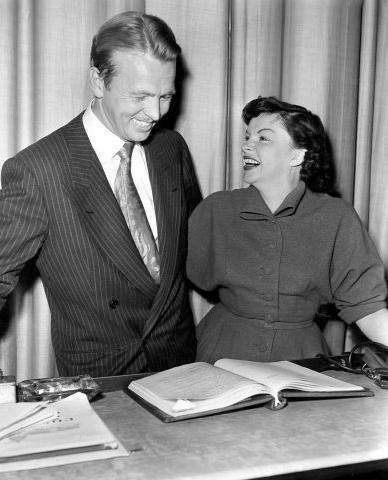 Judy was due on the set at 9:45 a.m. 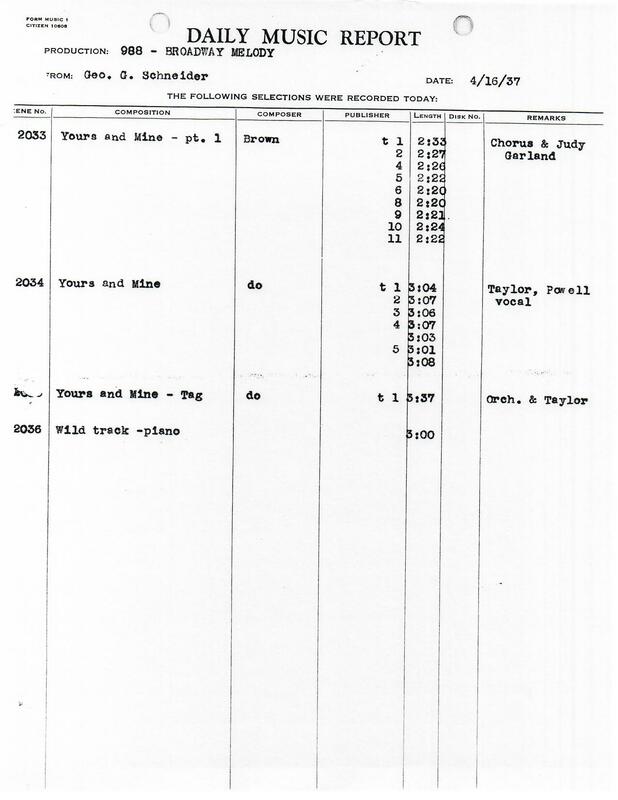 Per the assistant director’s notes: “At 8:30 a.m. Miss Garland called Wally Worsley to say that she was in makeup dept. and that she was calling her doctor and would report to the set as soon as possible. Miss Garland on set at 11:10 a.m.; Ready in Wardrobe to work at 11:32 a.m. 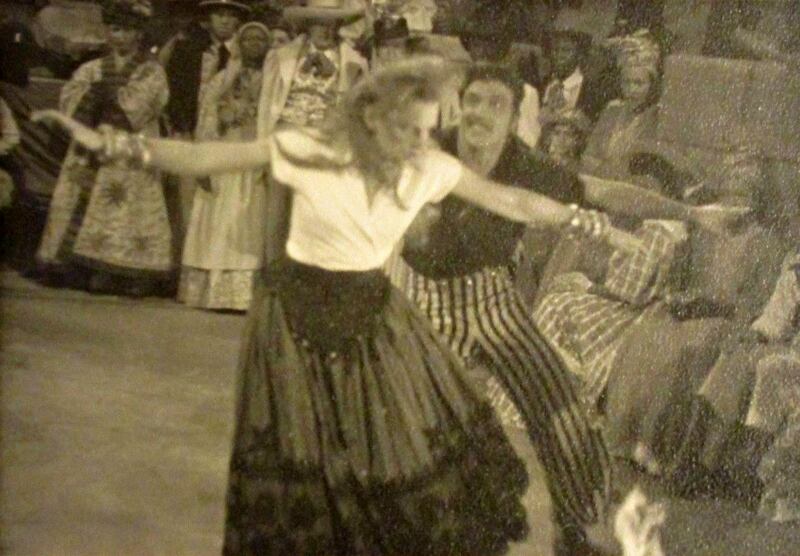 Note: Miss Garland was taken ill during lunch and company was unable to continue ‘Voodoo’ number.” Dismissed at 1:45 p.m. The photos below were also shown in yesterday’s post as it’s unclear on exactly which days of filming they were taken. Many of these photos were provided by Kim Lundgreen. Thanks, Kim! 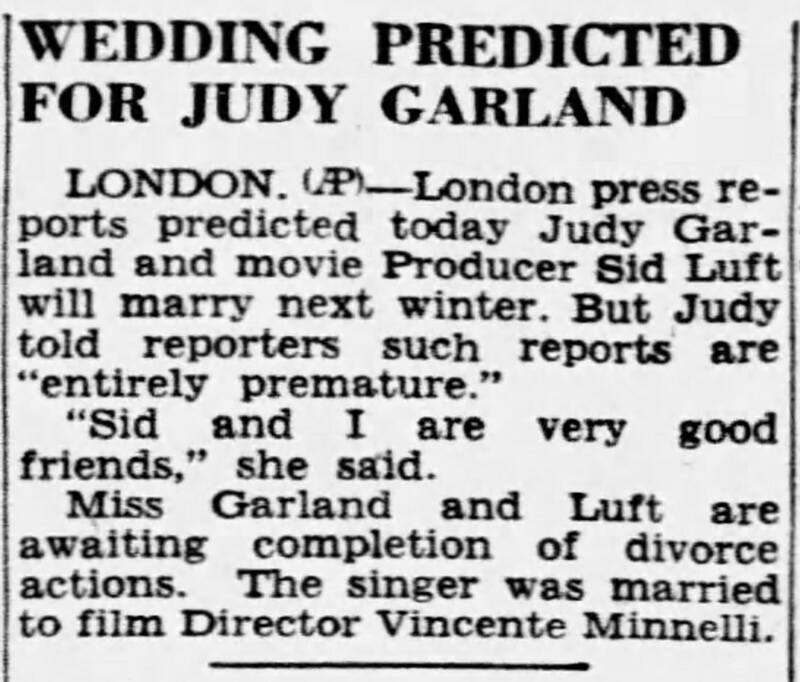 April 16, 1951: Judy was in the middle of her triumphant return to the stage at the London Palladium when this news broke that she and “producer” Sid Luft would marry. Of course, the couple did finally marry over a year later, on June 8, 1952. 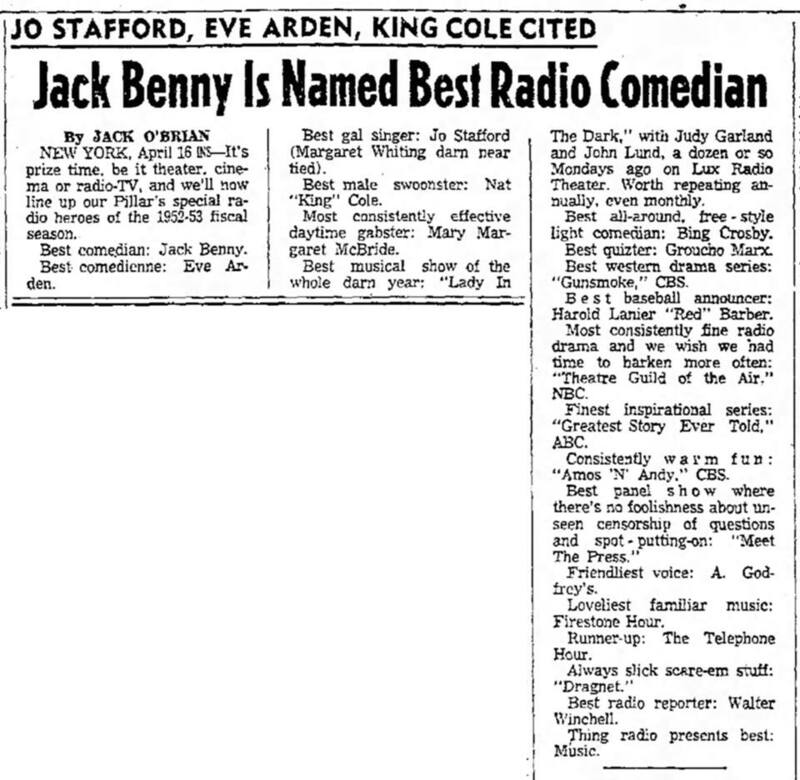 April 16, 1953: The recent radio adaptation (February 16, 1953) of “Lady In The Dark” starring Judy and John Lund was singled out as being the “best musical show of the whole darn year.” Jack O’Brian’s column continued with this praise: “‘Lady In the Dark,’ with Judy Garland and John Lund, a dozen or so Mondays ago on Lux Radio Theater. Worth repeating annually, even monthly.” I couldn’t agree more! Listen to, and download, the entire show here (zip file). 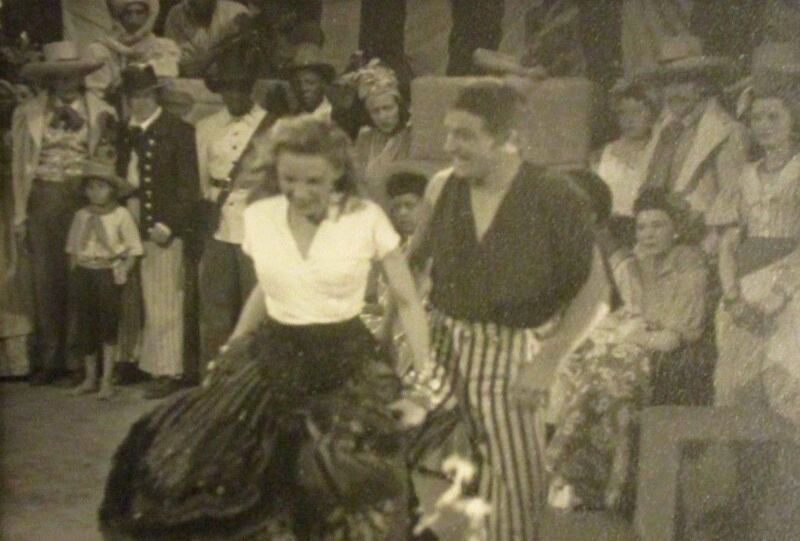 April 16, 1954: Filming on A Star Is Born continued with a session of dialogue post-recording. Time started: 1:45 p.m.; finished: 2:45 p.m.
Photo: 1984 special boxed edition VHS cover art. 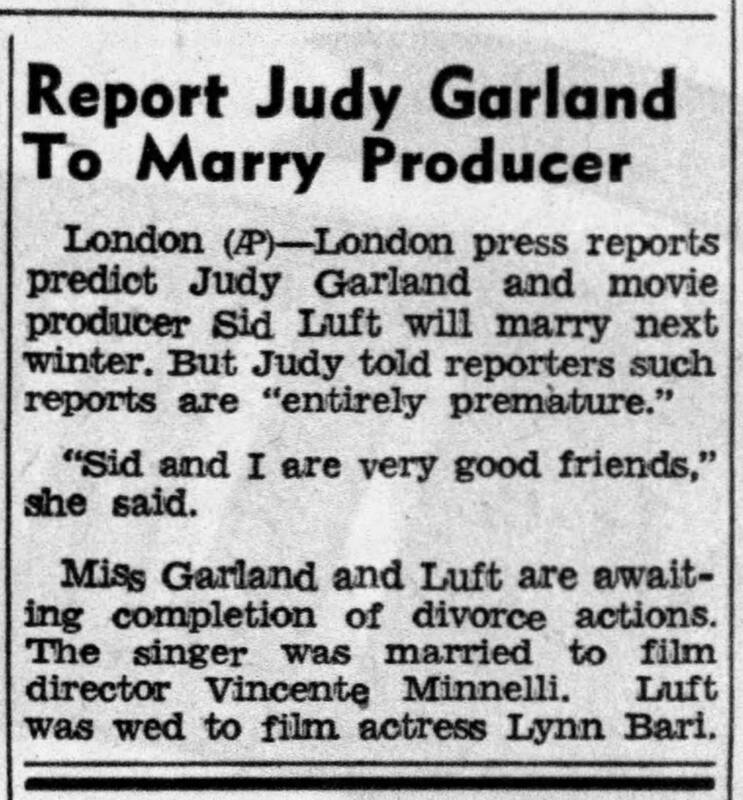 April 16, 1958: Judy and husband Sid Luft reconciled after Judy had filed for divorce a second time. 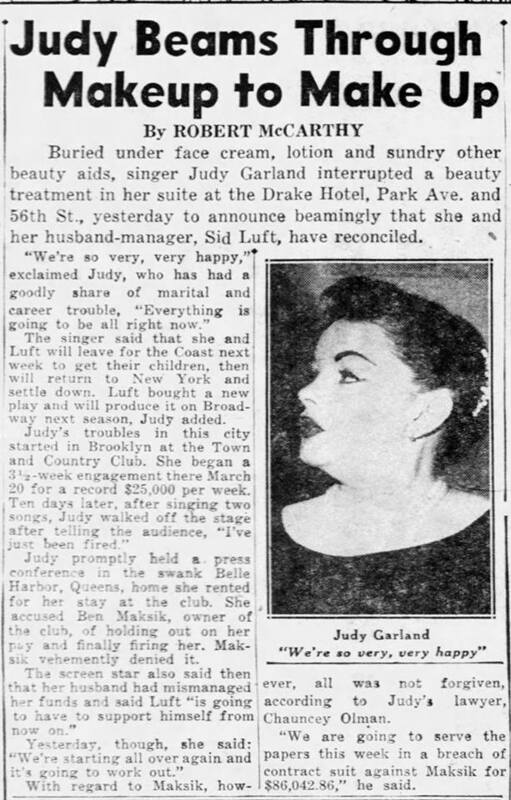 This came at the same time that Judy had experienced trouble at The Town and Country Club in Brooklyn, NY, where she was appearing in late March. 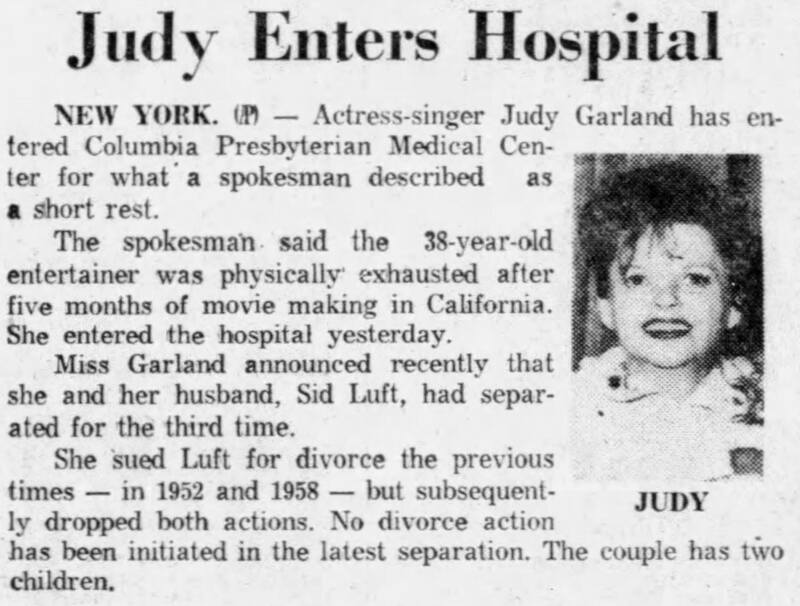 April 16, 1962: Newspapers reported that Judy had been admitted to the Columbia Presbyterian Medical Center on April 15th suffering from a case of exhaustion. 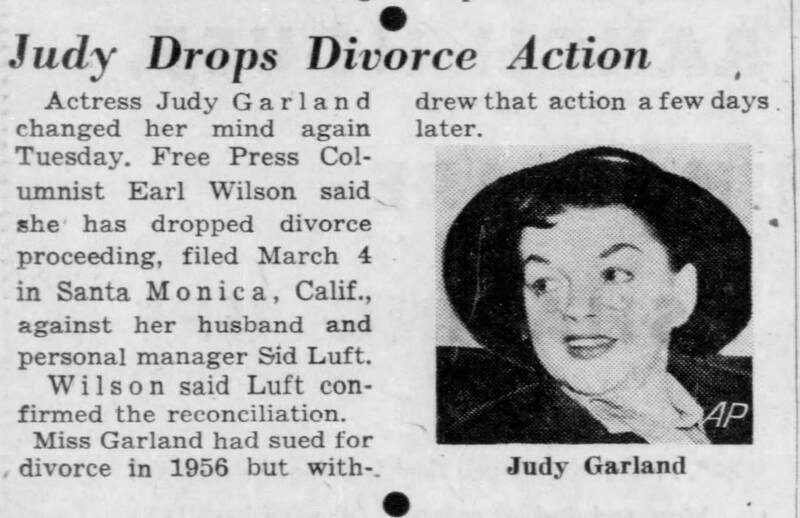 Newspapers also noted that Judy had separated from husband Sid Luft for a third time, although this time no divorce actions were taken. April 16, 1965: The publisher of “The Garland News,” Max Preeo, spoke with Mark Herron on the phone. Herron said he and Judy were “very impressed with them. We thought they were very nice.” At some point during that day or the next, Max dropped off the latest issues, leaving them with Lorna, as Judy and Mark weren’t home at the moment. Photo: Judy at home in Brentwood, 1965.